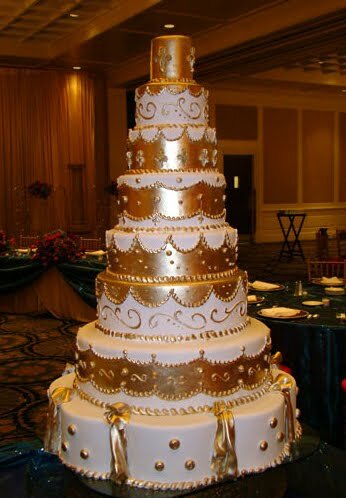 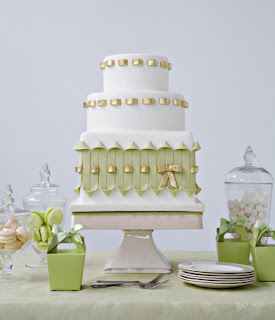 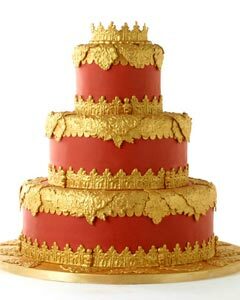 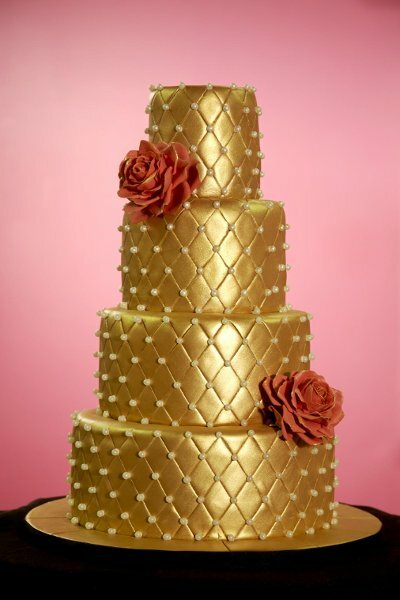 Stunning gold wedding cakes for nothing less than a wonderfully lavish affair. Four tier quilted gold wedding cake with two red roses. 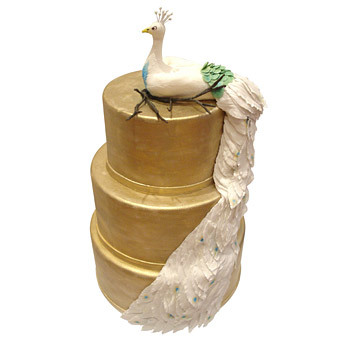 A white sugar paste albino peacock adds to the fun of this three tier round painted gold cake. Four tier white wedding cake with gold swirl pattern. 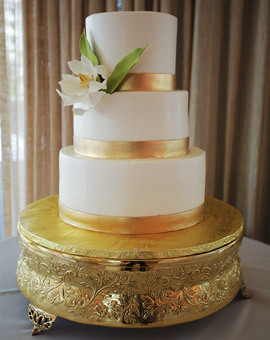 Decadent multi-tiered wedding cake in white and gold. Burnt orange and gold round three tier cake. 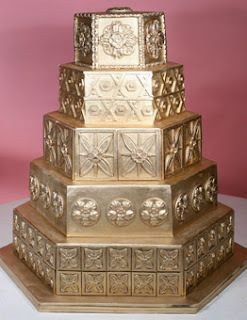 Architectural five tier hexagon gold fondant cake—modeled after the design of Gotham Hall in New York City. 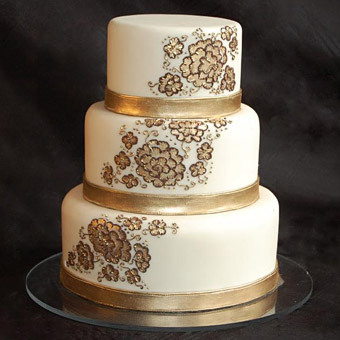 Gold painted bands and brushed embroidery flowers to a traditional three tier design. 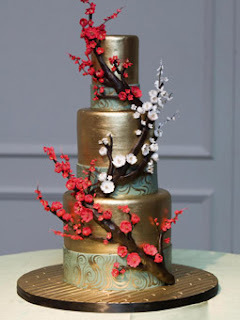 Gold fondant cake features handcrafted red and white cherry blossom branches made of fondant. 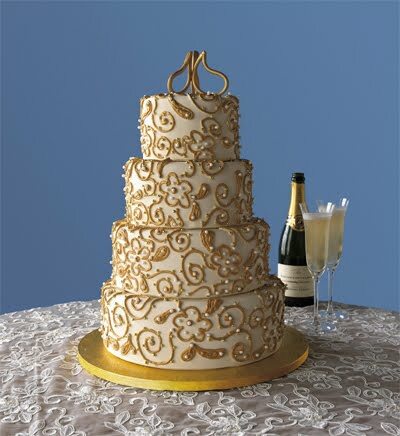 The precisely placed gold sugar ribbon on this cake is enchanting to look at and was inspired by a vintage ring bearers pillow. 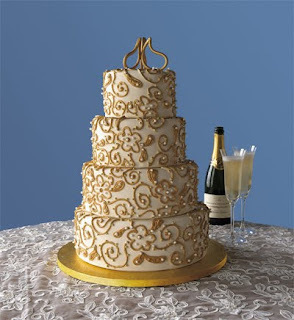 Beautiful elegance with this classic white and gold wedding cake idea!